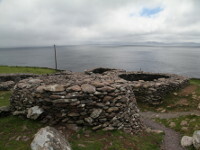 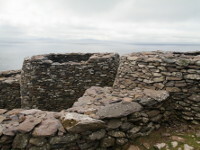 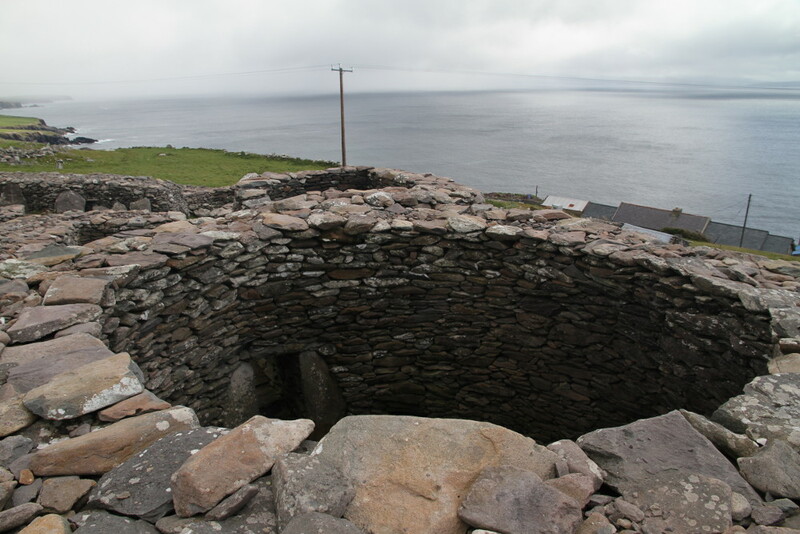 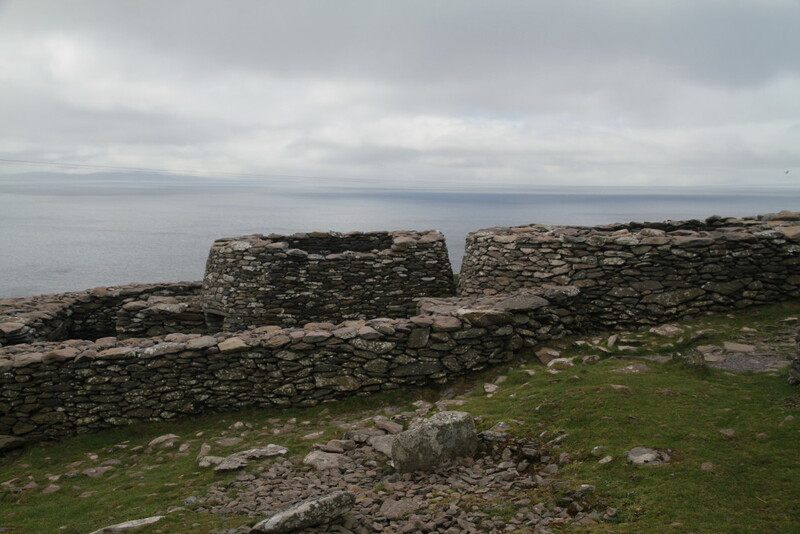 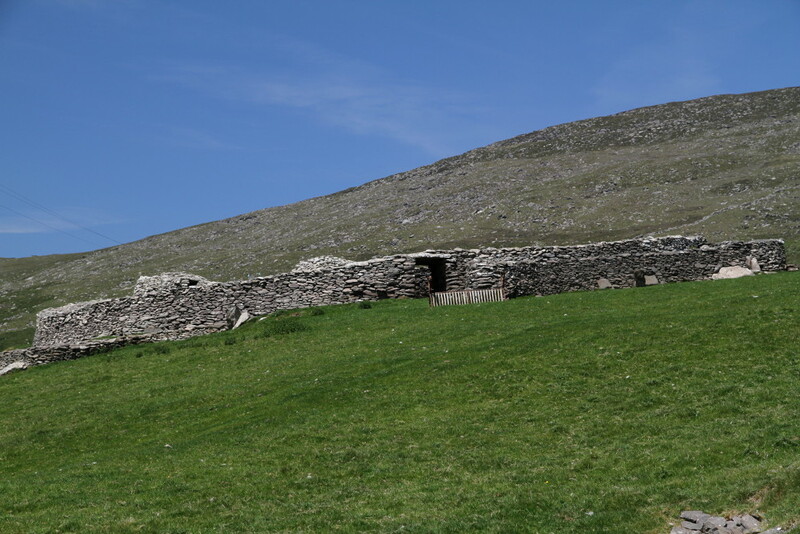 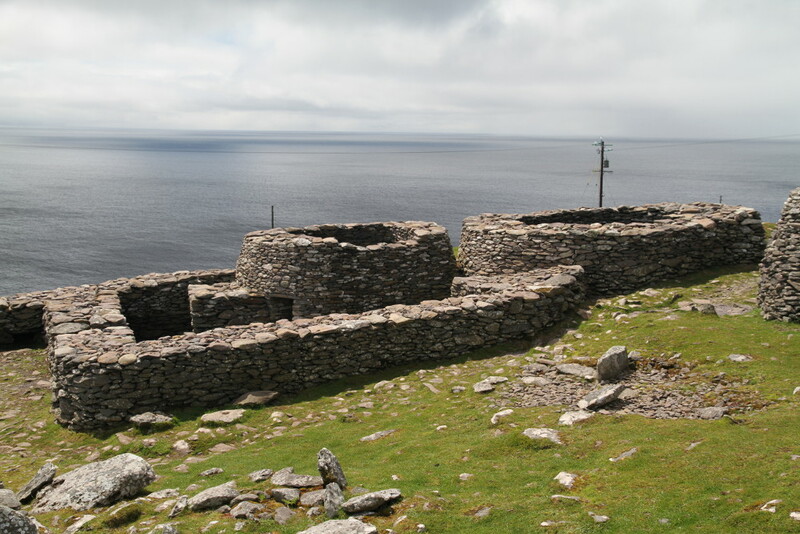 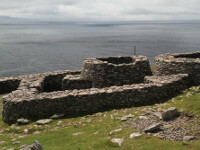 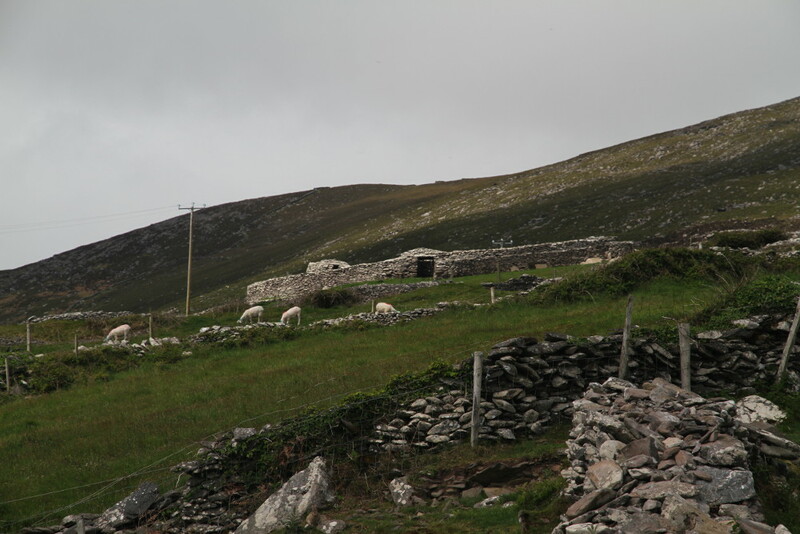 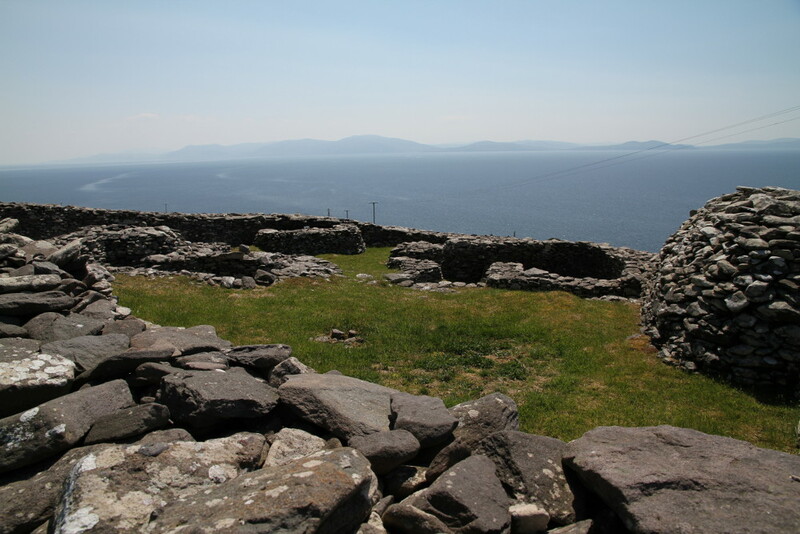 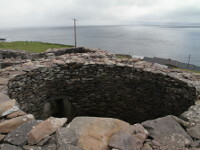 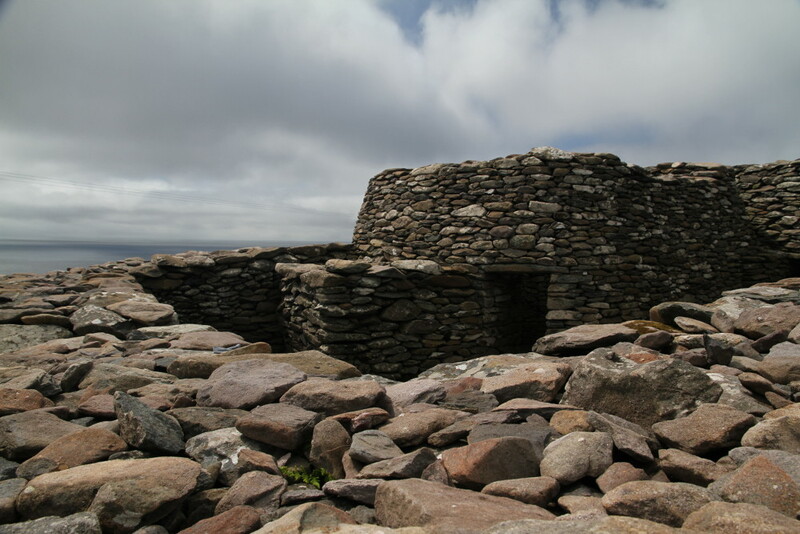 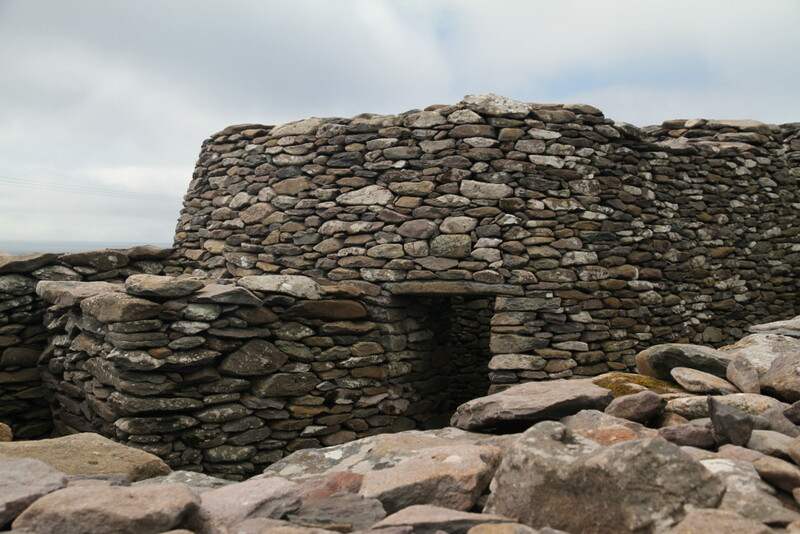 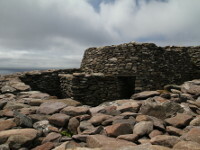 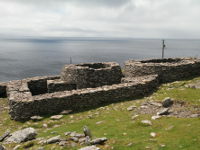 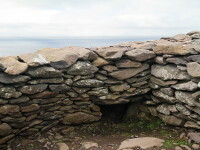 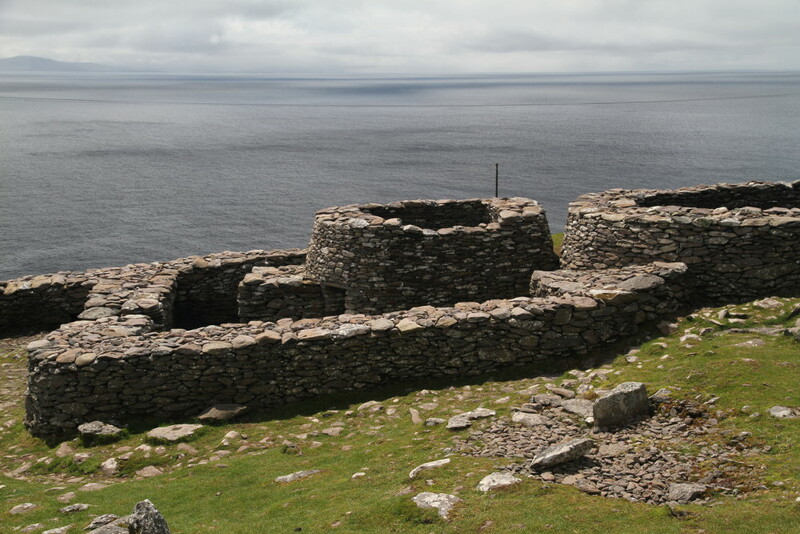 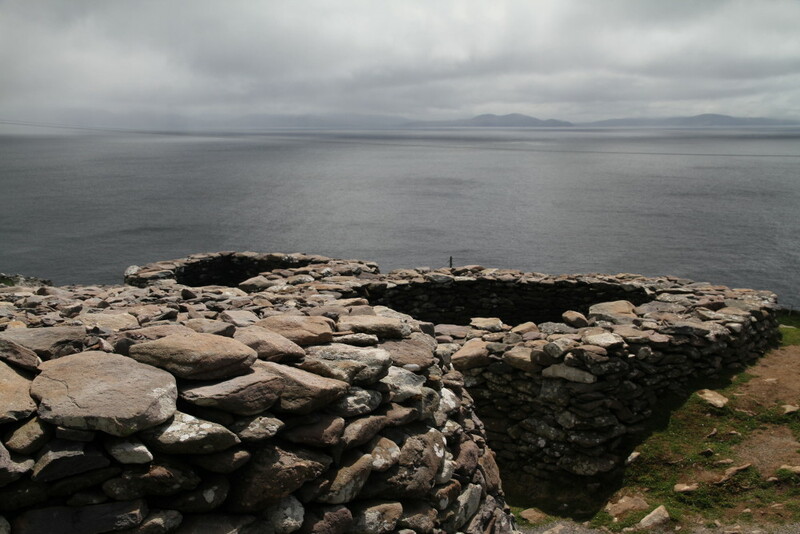 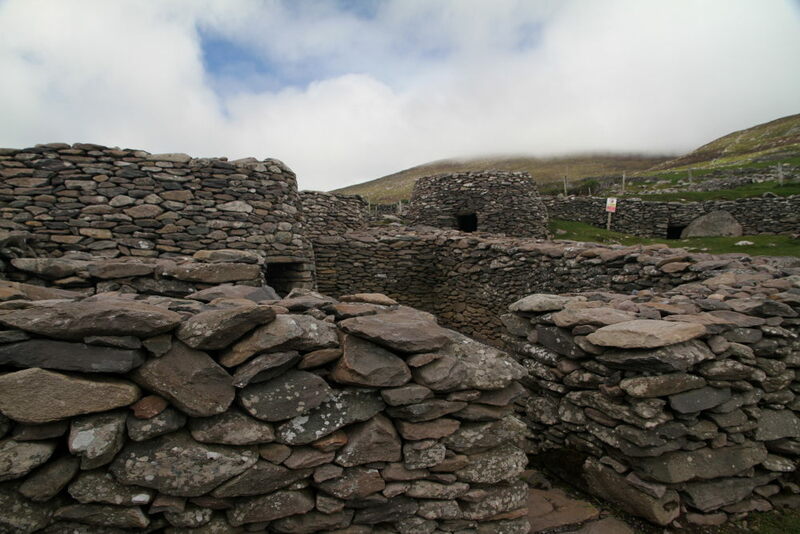 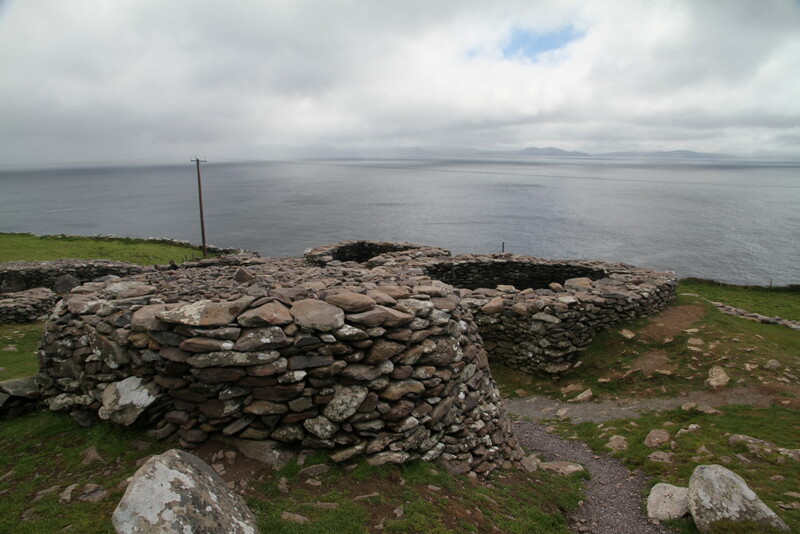 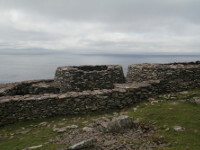 Caher Conor (Cathair na gConchuireach, also known as the Fahan Beehive Huts) is located on the southern slope of Mount Eagle, to the west of Ventry, on Dingle Peninsula, County Kerry (road R599, not far from Dunbeg Promontory Fort). 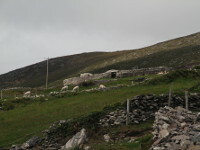 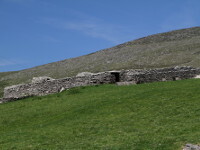 This enclosed farmstead contains five clochans (beehive huts) within its walls and was probably inhabited by single family. 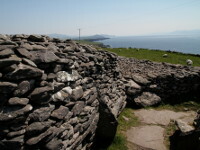 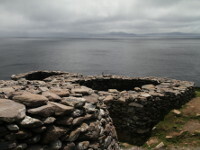 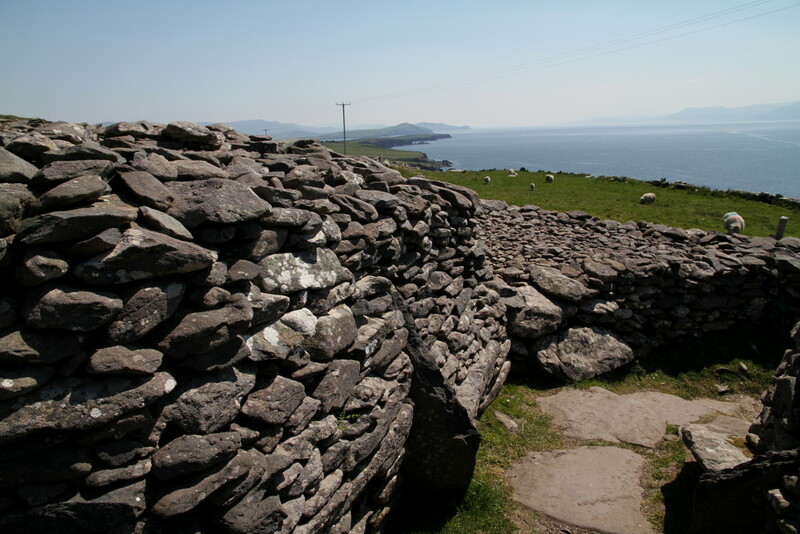 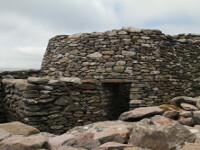 Surrounding wall as well as beehive huts are made of dry stone (no mortar). 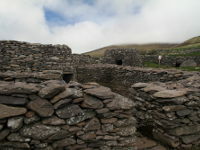 Some of the huts are attached to each other and connected by doorway. 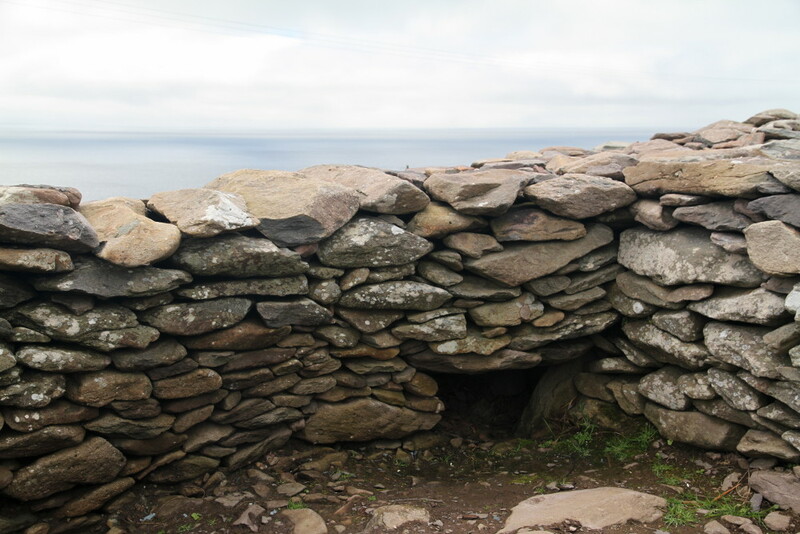 There is no exact date when the stone huts were built, but this method used in the construction which is called corbelling, was known since the Stone Age, and has been practiced until the fifties of the twentieth century. 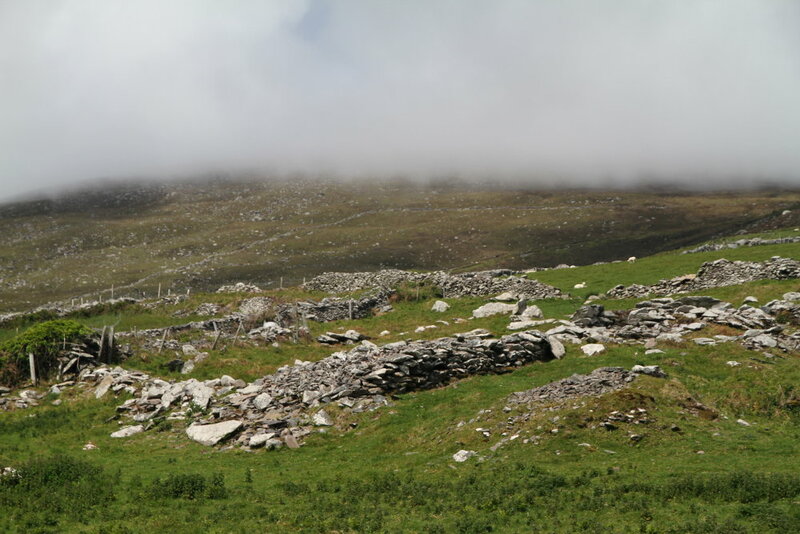 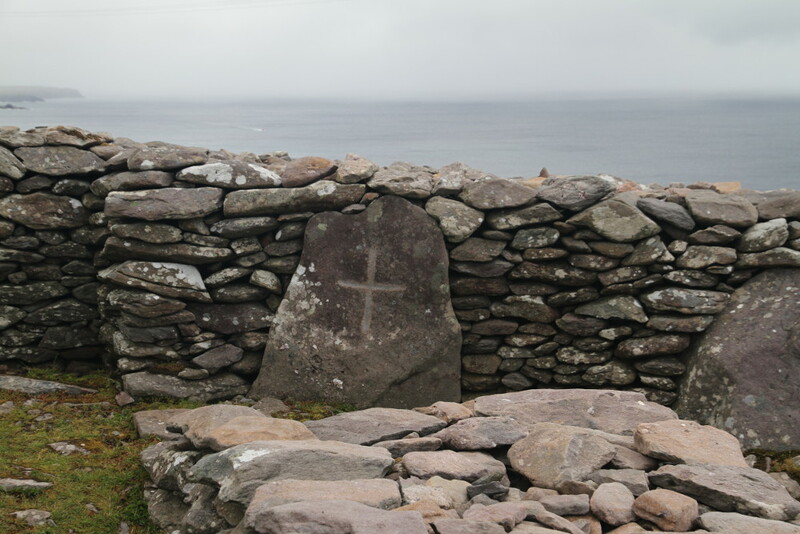 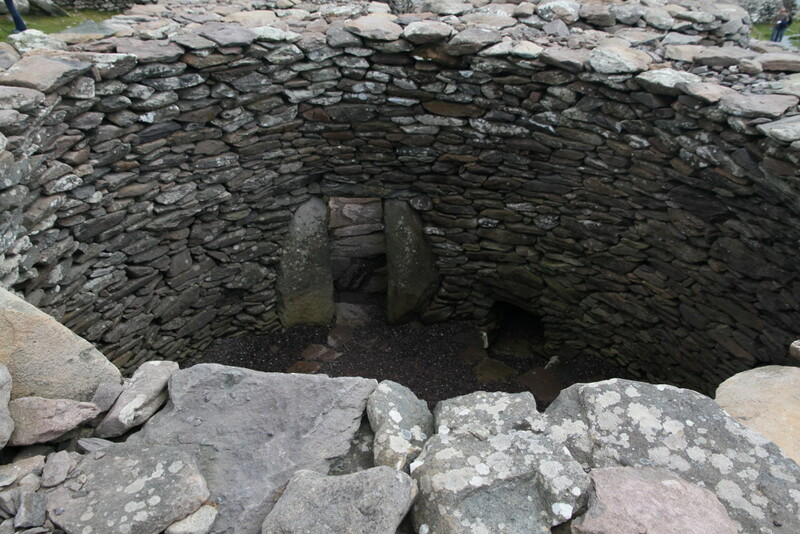 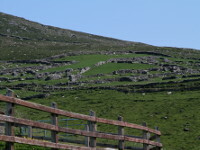 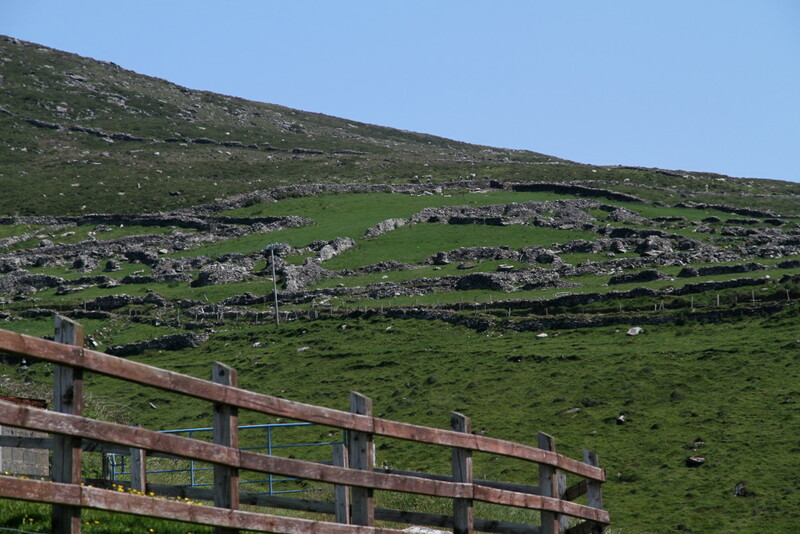 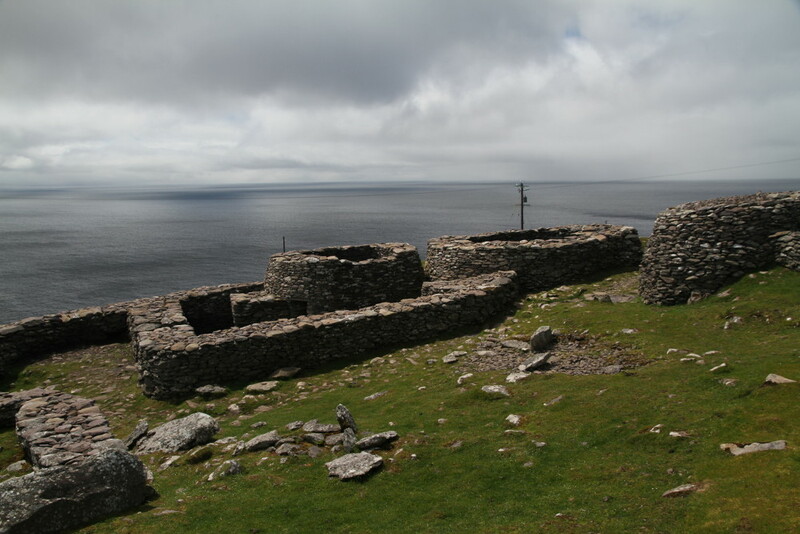 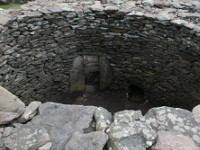 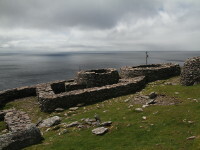 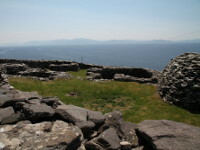 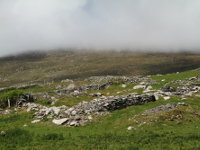 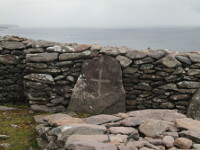 There are many other clochauns visible on the slope of Mount Eagle (over 400 beehive huts has been noted, in various states of ruin), which are believed to have been the cells of monks from Early Christian, but Caher Conor was built probably much later. 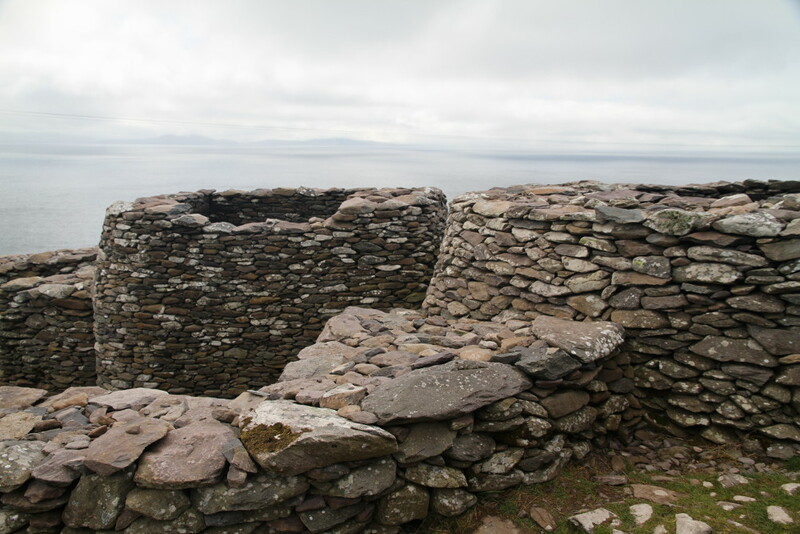 There are suggestions it has been constructed only in 12th century when the incoming Normans pushed the Irish out of the good land to the periphery of the Dingle Peninsula.